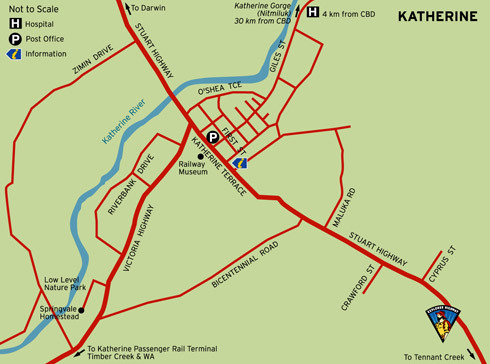 A 2wd Motorhome road trip to Katherine, Katherine Gorge, Edith Falls, Mataranaka Thermal Pools: Let's explain further: Say you have a 2wd large 6 berth motorhome rental, so what can you see and visit in Kakadu with the family. Katherine, Katherine Gorge, Edith Falls, Mataranaka Thermal Pools can all be accessed in your motorhome as all have sealed road access. 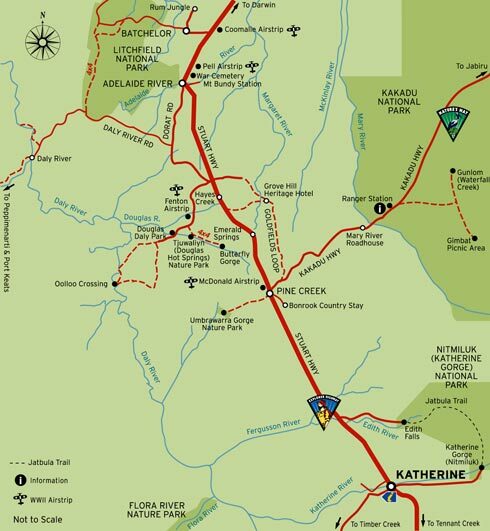 Some smaller not well known local destinations may have 4wd access but the major destinations are Katherine, Katherine Gorge, Edith Falls, Mataranaka Thermal Pools. Suggest you stay the first night in a Katherine township caravan park (that's what old aussies call a Tourist Van Park) next day rest up from the drive and go shopping then visit the Katherine Information Centre at the other end of town (Katherine is really quiet small), then have lunch then visit the Cutta Cutta Caves and maybe have a dip in the Katherine Hot Springs behind the footy oval (check with the visitor information centre first). 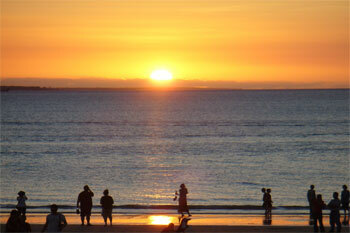 Then head out the next south 101 km to Mattaranka and Elsey National Park. 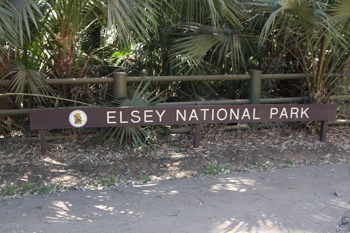 • Elsey National Park: Elsey is a national park in the Northern Territory, extending from 2 km to 19 km east of Mataranka and 378 km southeast of Darwin. 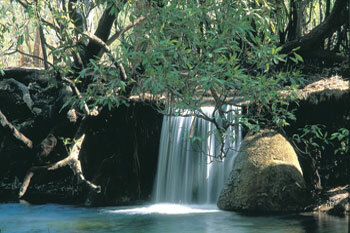 Features of the park include Mataranka Falls, and the “Mataranka Thermal Pools. You could easily stay a few days and find it hard to leave the natural beauty of Bitter Springs, which is in the northern end of the park. 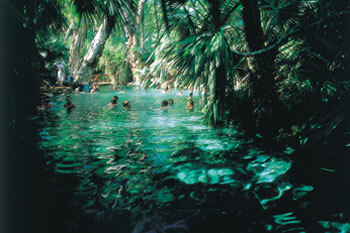 A 500m waterway is fed by an underground spring that gently flows down a watercourse lined with cabbage palms. 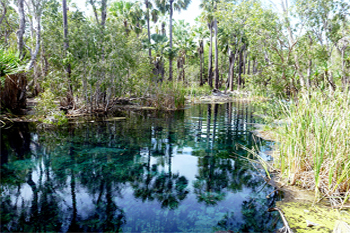 Mataranka Thermal Pool is another favourite and known for its warm Springs, which are around 30°C and pump out 30.5 megalitres of water each day. 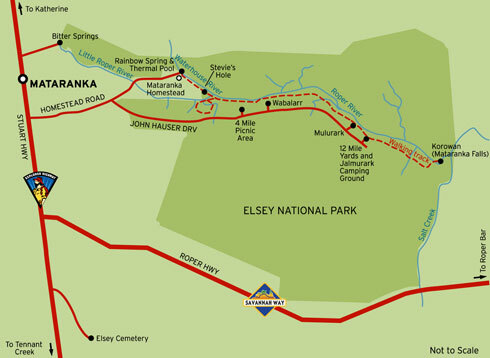 • Elsey National Park has all of the following facilities: • cafe • public toilets • information signs • ranger station • fire pits • drinking water • picnic area • caravans • accommodation • showers • walking tracks • scenic lookout • historical ruins. 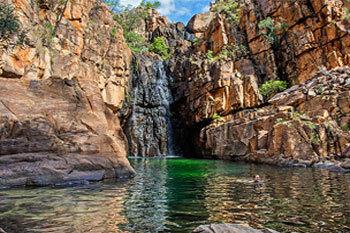 • Nitmiluk National Park: Then after a few days here head back to Nitimiluk Nationak Park for a longer stay and explore the park. 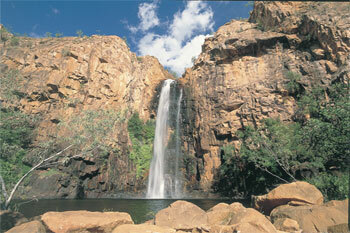 Nitmiluk National Park - Fishing: • Fishing is a popular pastime for many visitors to the Gorge. Normal barramundi fishing controls apply. No bait fishing is permitted, use lures only. 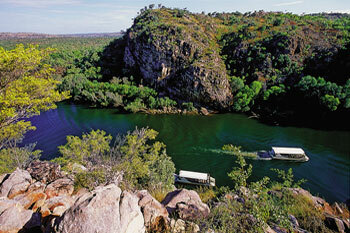 Nitmiluk National Park - Boat tours: • Nitmiluk Tours operate a variety of tours in the Gorge system. 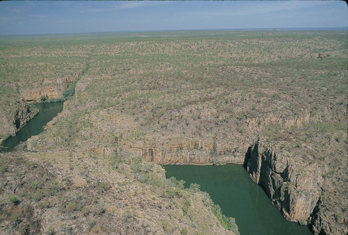 Nitmiluk National Park - Boating: • Private powered vessels are prohibited from the gorge system from 1 June to 31 August. 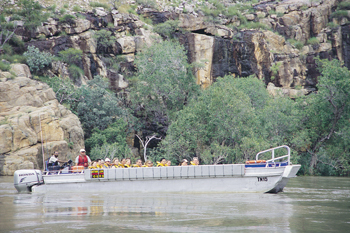 At other times, except when the river is closed due to wet season flooding, private vessels may use the first gorge. 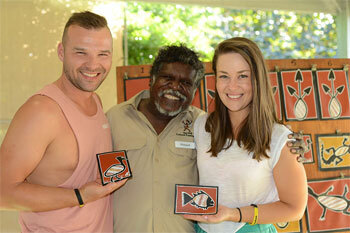 These vessels must be registered and a Katherine National Park fee paid at the Nitmiluk Centre before launching. Vessel restrictions and speed limits apply. Private vessels must be less than 4 metres long with a maximum 15hp motor. The speed limit is seven nautical miles/hour. Other normal waterway rules apply. 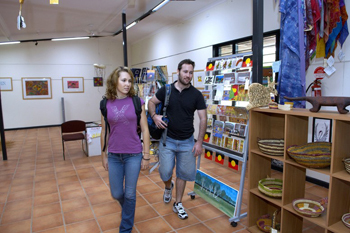 Nitmiluk National Park - Walking: • Numerous walking tracks offer a variety of experiences from riverbank strolls to spectacular overnight walks. 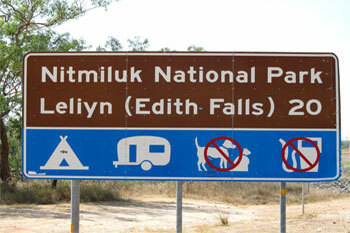 Overnight walkers need to obtain a camping permit at the Park Information Desk at the Nitmiluk Centre. 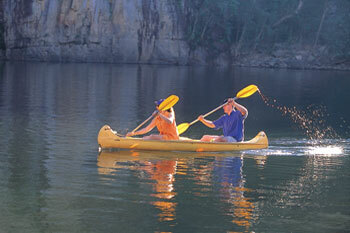 Nitmiluk National Park - Canoeing: • Canoes can be hired at the Gorge by the hour, half day, full day or overnight. 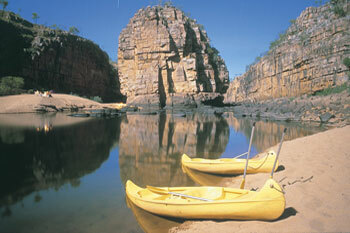 Private canoes can be used in the Gorge - a permit is required and can be obtained from the Nitmiluk Visitor Centre. A small fee also applies. The upper gorges are accessible to canoes, by carrying them over the rocks separating gorges. 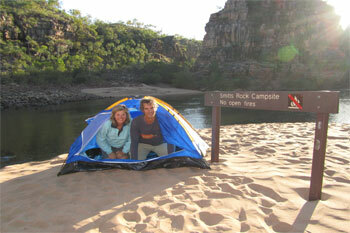 Nitmiluk National Park - Camping: • There are powered sites at the Gorge or unpowered, sites at Leliyn (Edith Falls). Campsite bookings are required for overnight canoeing and camping as numbers are restricted. Check at the Nitmiluk Centre for the availability of drinking water and location of toilets - you will need to supply your own toilet paper. 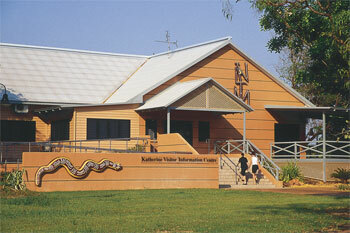 Please Remember in Nitmiluk National Park: • Take your rubbish away with you. 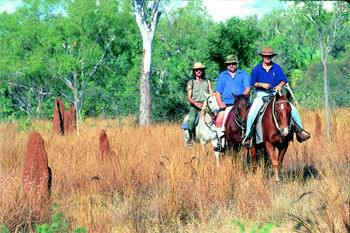 • Keep to designated roads and tracks • All cultural items and wildlife are protected. Do not touch the Aboriginal artsites. • Please do not feed animals. • Pets are not permitted in the Park • Nets, traps and firearms are not permitted • Avoid using soaps and detergents in or near waterways • Camp only in designated camping areas • Generators are not permitted in this Park • Observe all fishing regulations. 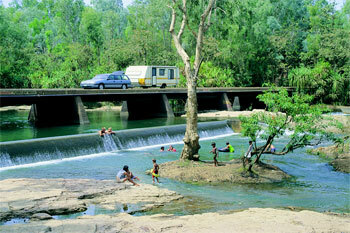 There is no fishing permitted at Edith Falls and lures only in the Katherine River. 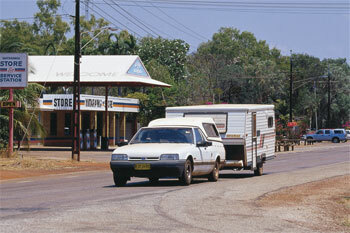 • Check that your vehicle is not transporting pests like weeds and cane toads. 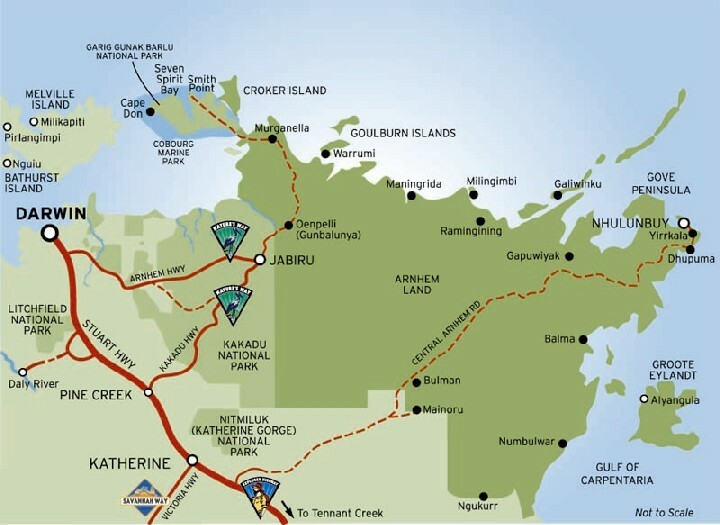 Walk the Jatbula Trail • Walk the five-day 58 km Jatbula Trail that passes waterfalls, monsoon rainforest, stone country and Aboriginal rock art. 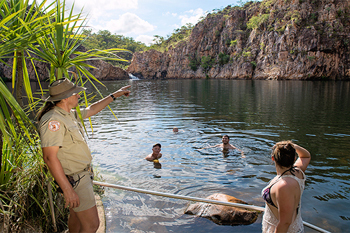 The trail starts at the visitor centre and ends at Leliyn (Edith Falls), an idyllic camping spot near waterholes that are great for a rejuvenating swim. 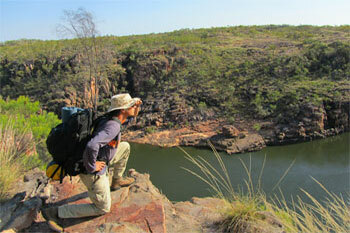 The Windolf Walk winds along Katherine River and up to Pat’s Lookout for a sweeping view of the gorge. 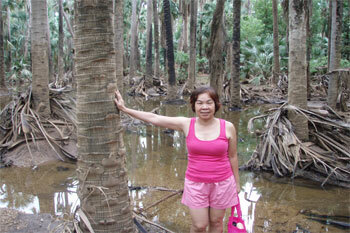 Continue along the trail to the Southern Rockhole, where a waterfall flows after rain. 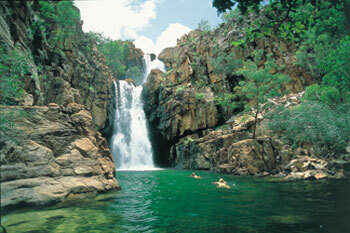 Natural swimming holes • Swim at Leliyn (Edith Falls), a pandanus-fringed plunge pool on the park’s western boundary. 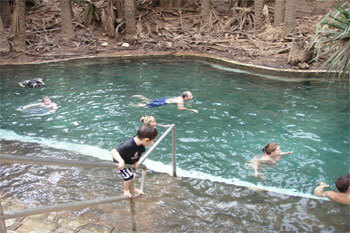 Then follow the scenic walking track to Sweetwater Pool, a secluded and tranquil swimming hole. Paddle through the narrow chasms of Butterfly Gorge, a quiet, shaded gorge with rocky walls that are home to thousands of butterflies. 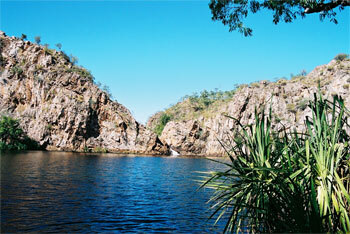 Leliyn (Edith Falls) - The large pool at the base of the falls and shady picnic area make Leliyn a favoured stop for visitors travelling the Stuart Highway. 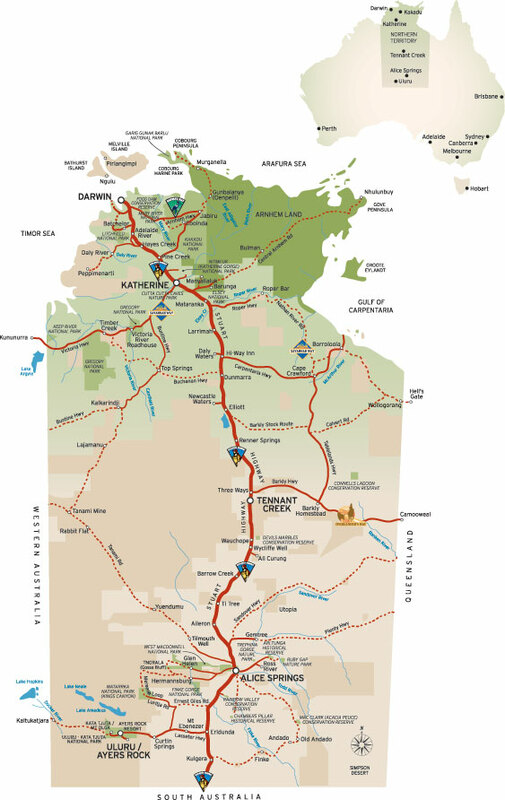 Leliyn is accessed by driving 40 kilometres north from Katherine and then following the sealed access road for 20 kilometres. 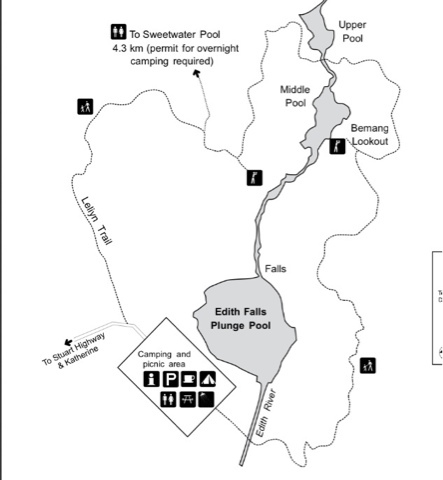 Park facilities at Leliyn (Edith Falls) include: • a fully serviced campground with kiosk, toilet and shower facilities. Unpowered sites only. 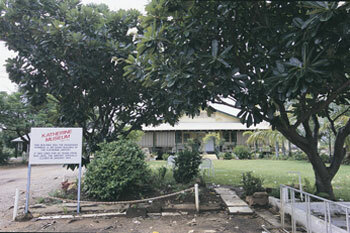 • a picnic ground with gas barbecue and tables. 17 Mile Falls - 17 Mile Falls amaze all who are lucky enough to see them. 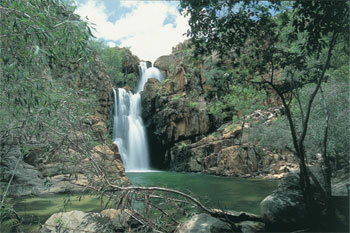 A hidden gem, the waterfalls can only be accessed by trekkers on the Jatbula Trail. 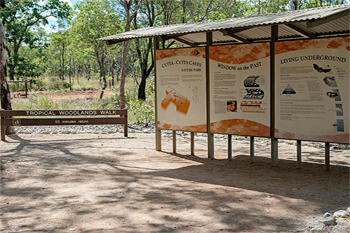 The trail is located in Nitmiluk National Park (Katherine Gorge) and is a one way 62 kilometre walk from Katherine Gorge (Nitmiluk) to Leliyn / Edith Falls that takes from 4 to 5 days to complete. 17 Mile Falls Campground is the third campground reached walking the trail, popular with walkers with its serene and striking scenery. The falls run throughout the year, fed by a permanent water source with the sandstone plateau acting as a huge sponge that slowly seeps water into rivers and creeks. 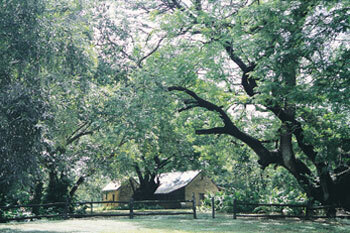 Toilets and an Emergency Call Device (ECD) are located close by to campsites. 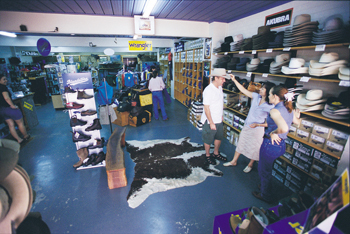 • Kakadu Road Trip Fast Facts: A 300km a day allowance from Maui, Britz and Apollo motorhome hire should be plenty; as to date as not one of our customers to date has ever given feed back they had to pay excess. 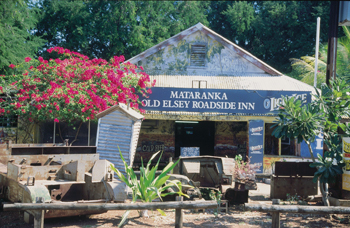 •What To Bring On A Katherine and Mataranka Road Trip: We have listed here a few suggestions based on our own 4wd Kakadu trip and our travelled customers feedback. 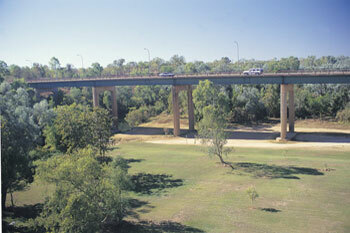 Katherines bridges - the Low Level Bridge is not the Katherine River Bridge as you can see from the photos. 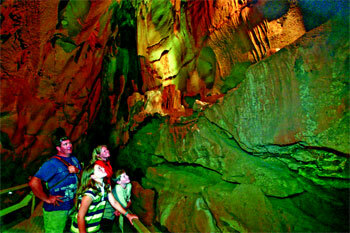 A visit to the Cutta Cutta Caves is a very special experience in the Top End. 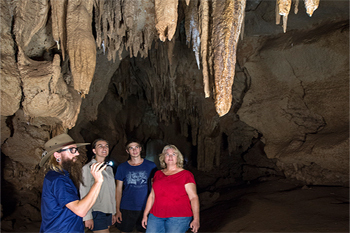 Inside the caves you may see sparkling limestone formations of stalactites and stalagmites and five different species of bats including the rare ghost and leaf-nosed bats. It's also possible that you'll see a harmless brown tree snake coiled on a cave ledge. 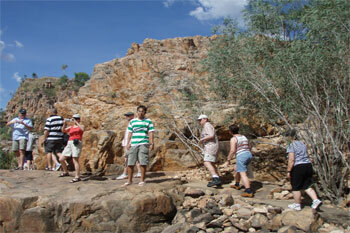 • Guided tours of the caves run on the hour and are operated by Nitmiluk Tours. 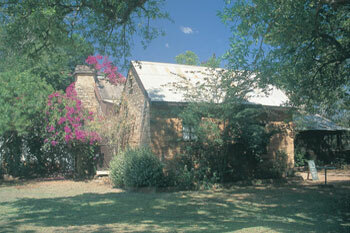 • From May to October, tours start at 9am and the last tour of the caves is 3pm. 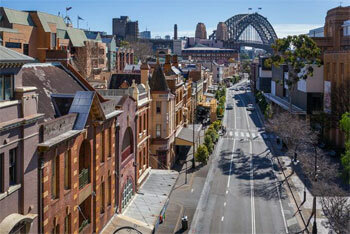 • In November there are only two tours, at 9am and 10am. 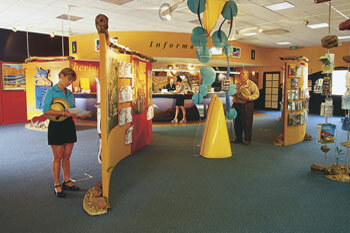 From December to April there are no tours.